W00t! I should really finish my Nelvana of the Northern Lights trade because I keep investing in Kickstarters to reprint Golden Age Canadian comics! In my mailbox this week, a handsome Brok Windsor hardcover. Looks insane, too! DVDs: A rather short week because of improv-related activity, but I did want to burn at least one entry in my i-MUST-CheckMovies project, and that was Brian De Palma's Scarface, a movie I only knew for its chainsaw scene, and as it turns, for having the same ending as Grant Theft Auto - Vice City. 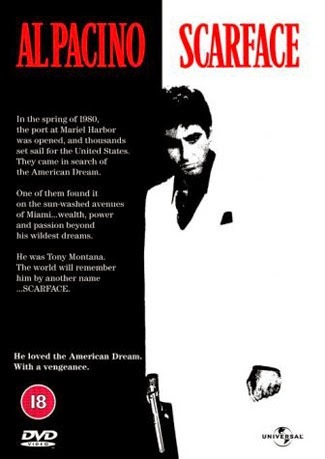 This is the movie that comes out every few years, about the rise and fall of a big criminal, a kind of corrupt American dream, but Scarface is no Godfather, or Goodfellas, or even a Wolf of Wall Street. It's much too obvious for that. It's garish and noisy and vulgar. Al Pacino doesn't so much chew the scenery as devour it, and it does nothing to change my basic opinion of Oliver Stone (who wrote the screenplay) as a sensationalism peddler. Memorable scenes, sure, but Scarface is rather soulless and empty. And that score/soundtrack! Pee-yew! An 80s movie through and through, it's as carbon-dated as a fossil. If someone were to change the music to something more timeless, more traditionally Cuban for example, it would actually improve the film a hundred fold. 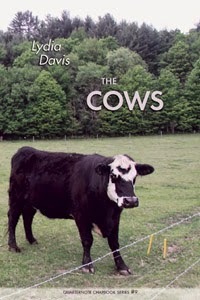 Books: Someone pointed me to GoodReads' user reviews of Lydia Davis' The Cows, and they were amazing in their own right. Essentially: "Thirty-something pages of a person describing three cows. And I couldn't put it down." I had to see it for myself. And that's exactly what it is. Pithy observations about three cows grazing across the way, their positions, their movements, their attitudes, and the writer's own relationship to them as objects in space, and as living things one has a tendency to anthropomorphize. While akin to a book of epigrams or poetry (plus lots of black and white photography of said three cows), there is a narrative there, after a fashion. The seasons change, life moves forward, for them as for their observer. The cows are not metaphors, we're told, but it's almost impossible for the reader not to do so anyway. They come to mean something. And while I was perfectly happy owning this the same way I own a copy of the unreadable Finnegan's Wake, i.e. as an objet d'art or curiosity, it ended on the kind of grace note that made me kind of weepy. It looks slim, but it actually wasn't a bad way to spend 10-12$. 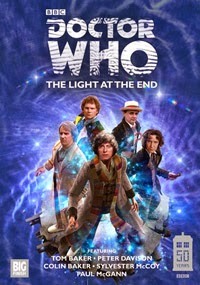 Audios: For Doctor Who's 50th Anniversary, Big Finish produced The Light at the End, a multi-Doctor story penned and directed by Nick Briggs, that pitted the first 8 Doctors (though mostly 4th through 8th, on account of their being alive) against BF's version of the Master. 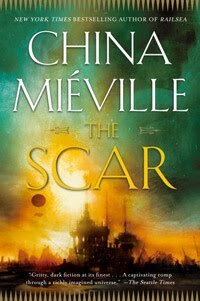 Now, multi-Doctor stories are an easy sell in terms of popularity, but a hard sell creatively. They usually turn out to be celebratory hogwash, set pieces dependent on who's available, inserted into a paltry plot. Briggs is a plot-driven writer, however, so the story's pretty tight. I didn't get that special feeling though. You know what I mean? An anniversary story, crafted by a super-fan-turned-pro, and involving that many beloved actors and characters (counting the companions), should, by rights, have made me tear up. Not quite. Ah well. The Light at the End still manages to make a statement about the Doctor's importance to the universe; it just doesn't really transcend to his importance to the real world. And there's something fun about the Doctor being forced to play companion to himself, and of course, it does a good job with the usual draw of such stories - various characters from the franchise meeting for the first time. I wanted it to be more, but it's still one of the better multi-Doctor stories ever produced, well above the norm. The package also includes a couple of strong documentaries, just above an hour each. One is a making of that talks to every participant in the cast and crew; the other talks about Big Finish, its beginnings, its team, its evolution. Both are entertaining and interesting. As I've mention I'm not at a fan of that kind of "rise and fall" gangster movie, but I'm a little more forgiving to Scarface than Goodfellas because it makes it clearer where Tony draws the line.